Cunningham Precision specializes in assisting our customers from the design phase to the ready to bolt-on phase and everything in between. We use the latest metalcasting technologies alongside traditional methods in the hands of highly skilled and experienced craftsmen to produce quality iron and aluminum cast parts on time & in budget. Having all foundry processes in-house allows us to quickly and accurately produce castings with the highest quality control. 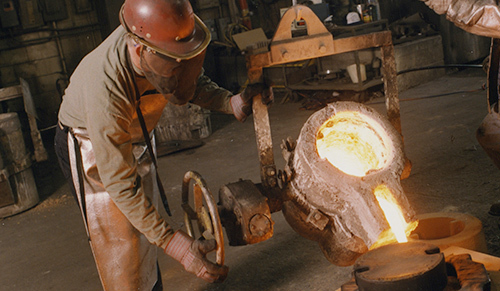 With over 50 years in the industry, we have vast foundry experience producing critical parts in complex shapes, materials, and sizes. Using the latest software technology we are known for reducing the time from design to foundry ready patterns. Our experience includes cutting CNC patterns from iron, aluminum, and polyurethane board as well as re-engineering patterns from others to be cast in our foundry. All patterns and core boxes are made in-house. Cunningham Precision is a no-bake/air set foundry with the capabilities of pouring many varieties of ferrous and non-ferrous materials. We specialize in prototype, pre-production, and post-production parts in weights up to 1500 lbs with quantities as low as one to a few hundred parts. 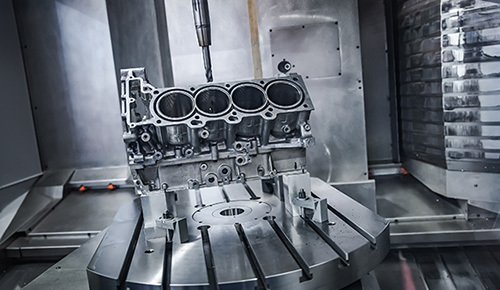 Our tooling typically produces several thousand parts over its lifetime. As an advanced manufacturing foundry, we pour 3D sand printed molds and also provide in-house pattern storage. Our full service machine shop specializes in short run and low volume casting machining. Producing custom machining fixtures for castings from the same files that created the pattern allows us to reduce machining time considerably. 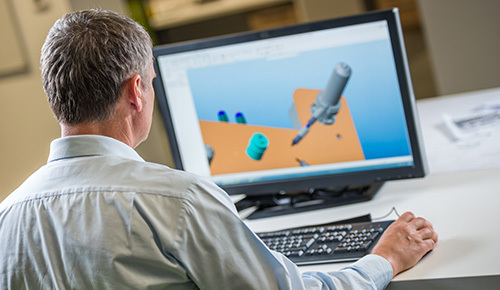 On-site CMMs and leak testing stations ensure that all parts are machined to our customers’ exact requirements. We also have warehouse space designated for short-term storage of fully machined parts and unmachined castings. Founded as Cunningham Pattern & Engineering by Joe Cunningham, a journeyman pattern maker and casting engineer, the business was started as a small, two-man shop specializing in production pattern equipment. Today our modern shop produces patterns, raw castings and fully machined parts through three divisions. We strongly believe that excellent people using the latest technologies are the key to fueling the success of our clients’ businesses. We are eager to partner with clients who have unique engineering, casting and machining needs. Click the link below to complete our contact form and we will be in touch shortly. Web published by Marketing Options, LLC.